French doors have a classic design that suits most types of property. We supply REHAU Total70S, REHAU Total 70C, HALO System 10, HALO Rustique ,VEKA Matrix EUROCELL and REAL Aluminium inward or outward opening French doors to the trade. 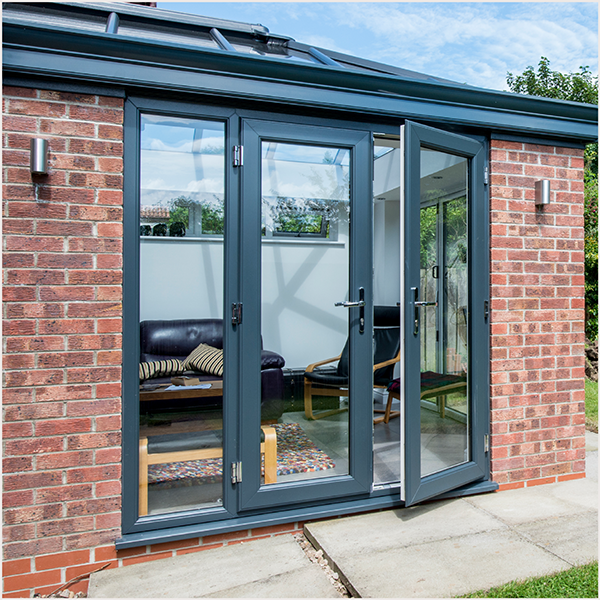 REAL French doors is a high-performance product suitable for use in high traffic or exposed areas where a durable and reliable door is required. Available as a single or double doors, both with internal beading. Opening out or opening in. REHAU French doors are available in a full range of colours and finishes to match other windows and doors in your customer home. The extensive opening allows unrestricted access, maximum ventilation and practical entry to gardens and patios. VEKA Imagine French door is unique due to the flush finish. Available in a wide choice of woodgrain and coloured foils, and designed for maximum security.